Those are very nice speakers, you will need something like John Wood quality to get the best from them. These are not warm and woolly in the way old valve amps used to be. They give the room filling sound of valves, with the sweet mids and highs but with deep tight bass too. Moving on to your questions. 1. is easy to answer, they were commissioned in May 2013 and collected in June 2013. 2. is not easy to answer. John's amps dont, as far as I am aware, of have model names. I think most people would refer to these via the output valve type, ie KT8. Having said that these are custom built monoblocks rather than the more usual stereo versions so the power transformers are under less load, which should improve performance. 3. 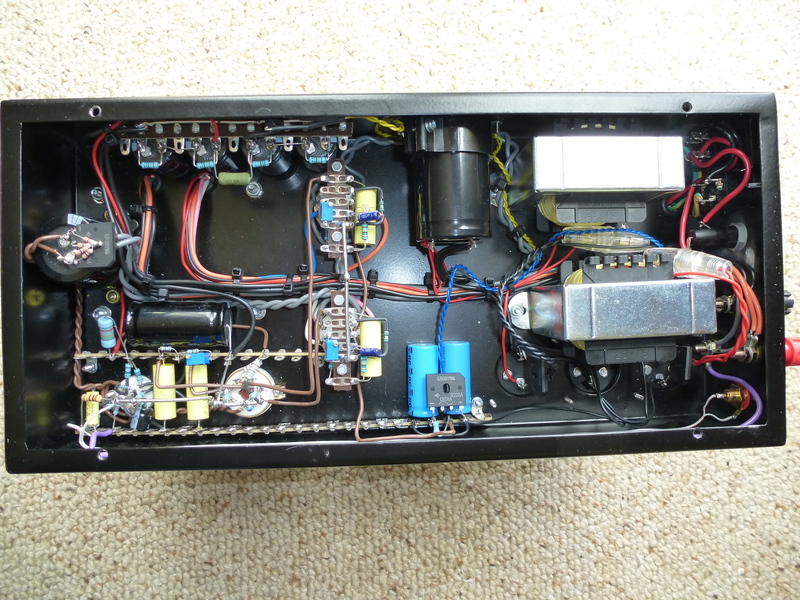 John's 2 x KT88 per channel amps are generally rated at 100w/channel, give or take. The exact power varies depending on the quality of the valves. The other thing to be aware of is Johns amps come with a life long warranty and aftersales service offer. John has never charged me for fitting new valves, except once when he upgraded/replaced the phase spllier valves and then he only charged a nominal amount for the actual valves. Thanks very much for the info, I have a budget lower than your asking price so not in a position to buy at the moment but if you decide to reduce the price in the future maybe we can discuss-Im in East Yorkshire so not too far. 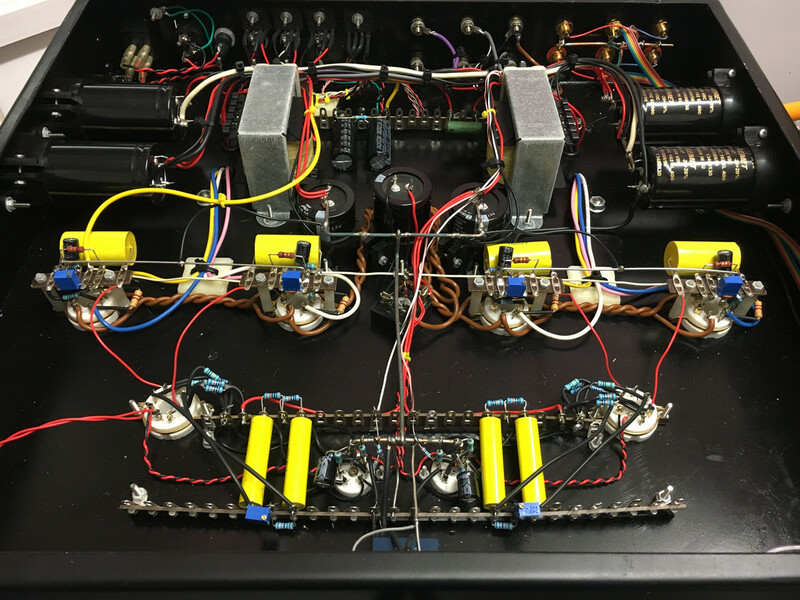 In the meantime I need to find out if valve amps can be used with a sub woofer connected to their outputs and also some help with the issue of the very low resistance offered by the Quads and how Valve amps respond. happy to consider offers via private message. In terms of subs, I have tried this too both with both valve amps and solid state; high level (speaker/power amp connection) and low level ( pre amp connection) inputs but integrating the subs was never really seemless, the DSpeaker Dual Core probably gave the best results. In terms of compatibility subs and valve amps I have never had any problems. Just noticed Jamie's (karma67) photos of the inside of a JW integrated and couldnt help thinking theres a transformers missing there. I am mega busy for the next 2 weeks so just dont have the time to take the bases off the monoblock to double check but my old photos seem to suggest the power amps have a seperate transformer feeding each output valve, so 2 per channel. posted to make it easier for comparison. what the difference is or makes is over my head,both are very very good amps! Last edited by karma67; 11-02-2019 at 18:33.
no al,the first pic is one of his JW mono blocks.the second is my integrated.